Having fun is not just for kids but it is something that we all need from time to time. Not only is having fun a great way to spend the time and to make some great memories but it is also crucial for your health. 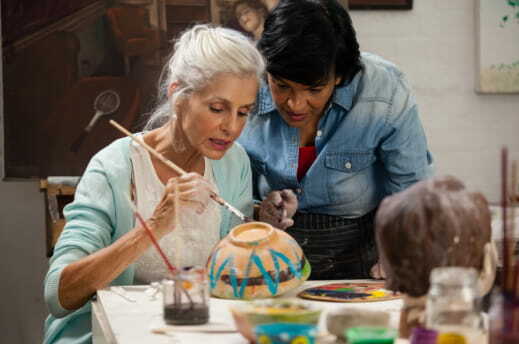 This is why it is vital to find some fun activities you can do in your golden years. Especially, with the help of a home health care agency in San Diego County, California, we can handle many of your day-to-day needs so you can focus on the more important aspects of life instead. One of the best options is to find a hobby. There are many different hobbies you can do from gardening to cooking. You will want to find something that you enjoy. This will not only help you feel productive but it will also be a lot of fun. You will have something to look forward to each day which can help you not only improve your quality of life but also your health. When we think of fun, exercise is something that does not usually come to mind. However, it can be a great way to spend time. At first, it may feel like a chore and you may need to push yourself to keep doing it but the longer you exercise, the more enjoyable it will become. You may even begin to find yourself looking forward to it. Exercise is great because not only does it improve your health but it also releases endorphins, which help you feel better generally. A home health aide can also keep you company during exercises. There are many new things you can experience, learn, and pick up. For example, if you have always wanted to learn a particular instrument, there has never been a better time to give it a try. Learning a new skill is not only fun and exciting but it is also a good way to release some stress and feel productive. Those are just a few of the many factors that you will want to consider when it comes down to keeping boredom at bay in your golden years. If you would like to find out more about what you can do to have fun or about our home health care in National City, California, please feel free to get in touch with Healthwise Home Health Care, Inc. for more information today. This entry was posted in Home Health Care and tagged Advanced Age, Health Care, Home Care, senior's boredom. Bookmark the permalink.